Experience your own Amazing Race in St. Paul as you turn the Minnesota State Capitol grounds and Cathedral area into a giant game board. Teams make their way among well known and overlooked gems, solving clues and completing challenges while learning local history. 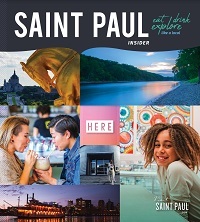 Turn St. Paul's Capitol grounds and Cathedral area into a giant game board on an Amazing Scavenger Hunt Adventure. Combine the excitement of the Amazing Race with our 2-3 hour outdoor event. Guided from any smart phone, teams make their way among well known and overlooked gems, solving clues and completing challenges while learning local history. Sign up online at www.UrbanAdventureQuest.com.